I have been obsessed with chalkboard paint lately. It’s such an inexpensive and fun way to enhance a space or project and even make it more useful. 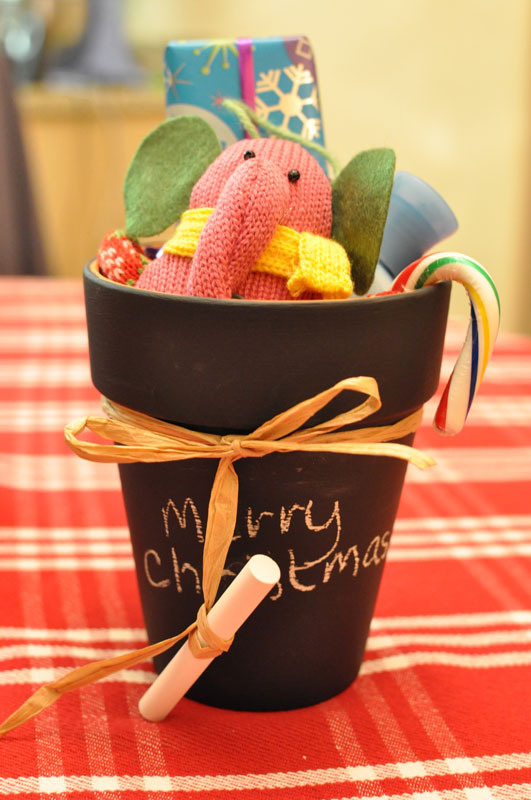 I can make things cute AND useful!? Win-win! I’ve painted all kinds of things around my house. 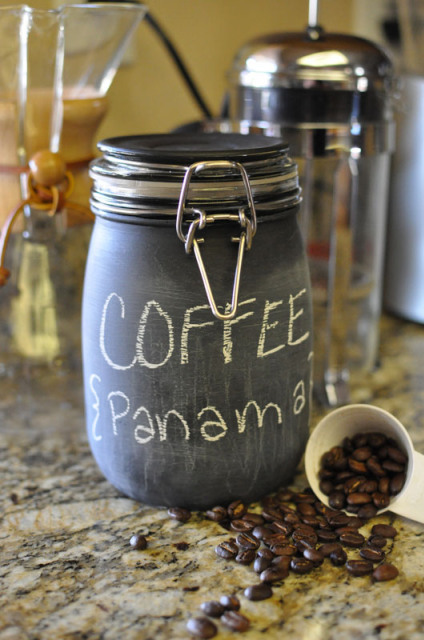 I’ve added chalkboard labels to plastic storage bins for organizing my craft supplies, painted wooden labels for the garden, and painted the glass jar (above) for storing our fresh coffee beans. I even painted my kitchen cabinets! My fascination with this chalky medium first started around Christmas with a stocking stuffer project. 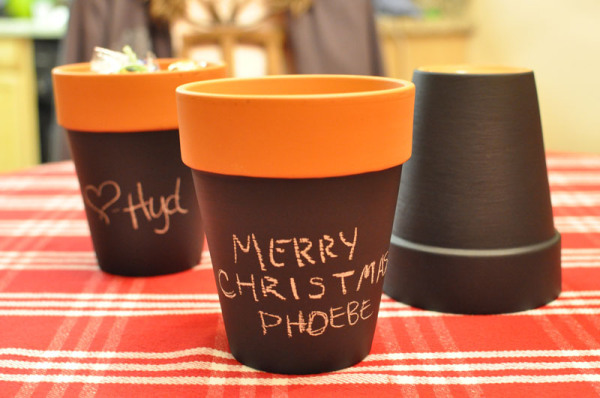 I was inspired by a chalkboard painted terra cotta pot project I found on Pinterest, so I painted my own little pots and filled them with small gifts and candies to give to my gal pals for Christmas. 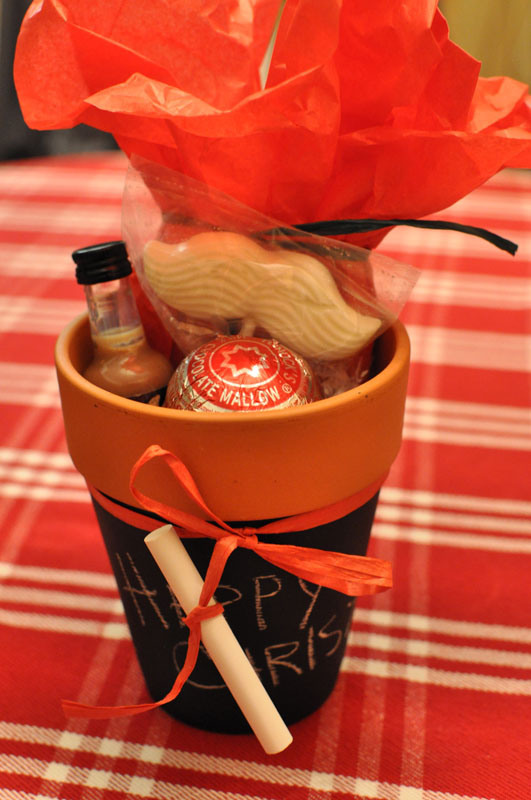 Not only did they get some fun little gifts customized just for them, but they also got a unique container they could later use to store anything from a cute little plant or herb to markers or makeup brushes. 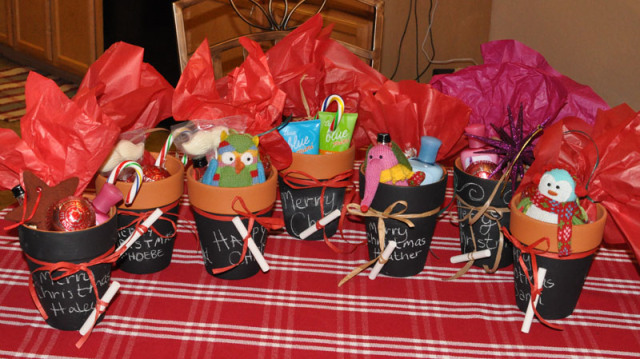 They turned out super cute and the girls really liked them. 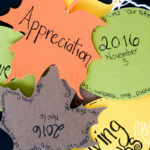 I’ve since done a few more that I gave as birthday and housewarming gifts. You could really do them up for any holiday. Mother’s day is coming up. 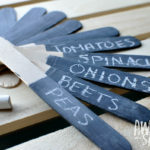 More favorite Chalkboard paint ideas from Pinterest. 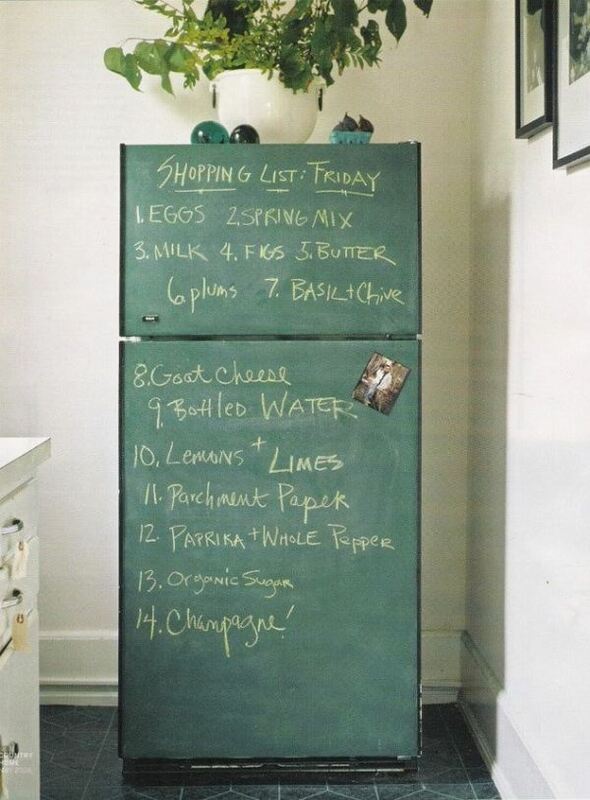 Go bold with chalkboard painted fridge doors and kitchen/dining room wall for anything from the Grocery list to the dinner menu. 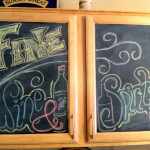 Chalkboard painted wine glass markers. 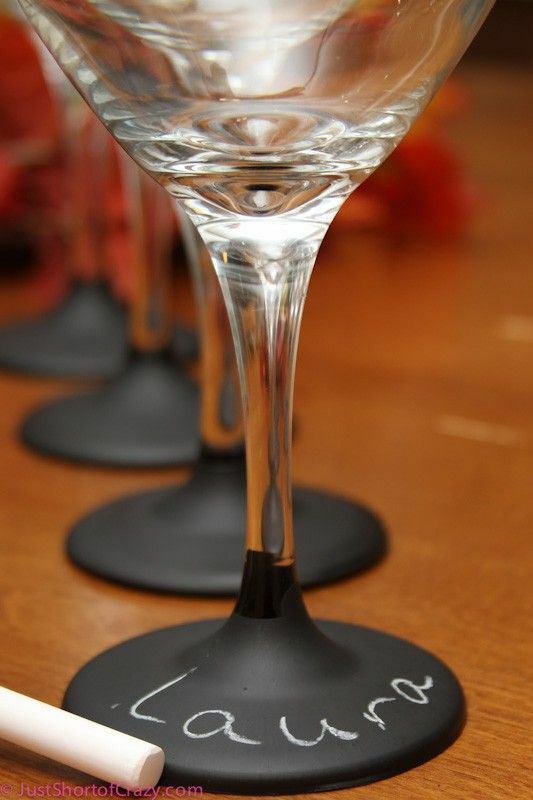 You could always paint labels on the side of the glasses, but I loved this idea of painting the stems instead! 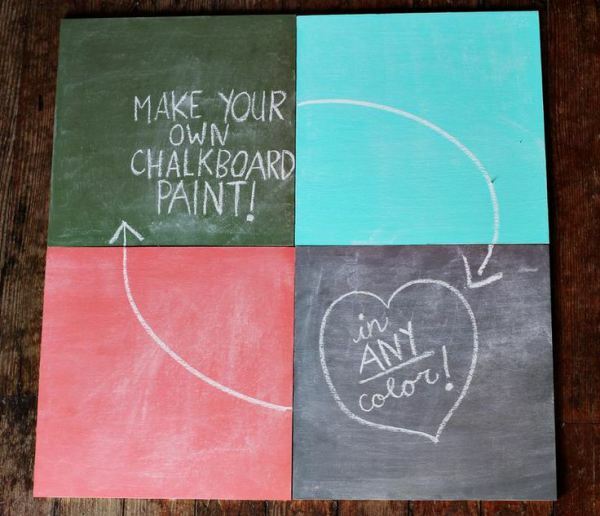 Make your own chalkboard paint. 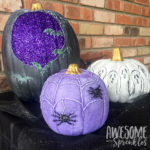 If the classic slate color doesn’t really fit your color palette and your are looking for something a little more light and cheerful, you can make your own chalkboard paint in any color you’d like.